Most people know the story of Dracula and now Net Entertainment has brought it to life with a fantastic slot. After a scary introductory video players will see that it’s a 5 reel slot with 40 fixed paylines. On the reels players will see three different characters, a woman and two men. There is a ‘W’ wild symbol and the Dracula and Lady symbols can appear stacked on reels 2 and 4 respectively. In the base game from time to time the bat feature is triggered. Dracula turns into a swarm of bats and turns a group of icons into matching symbols. 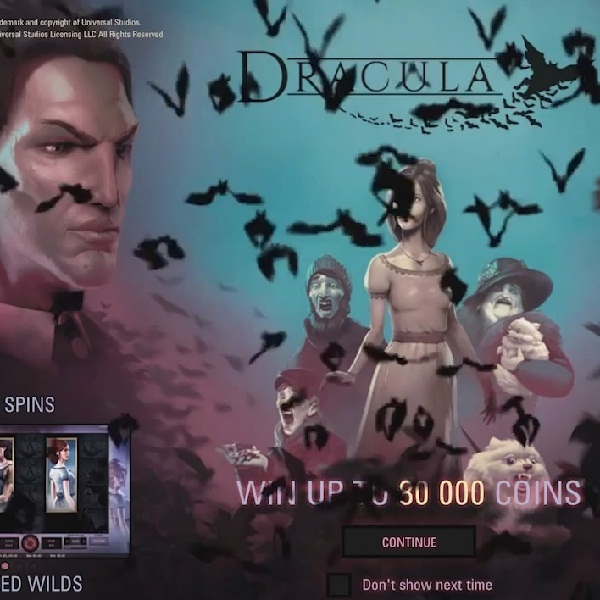 When Dracula and the Lady land stacked simultaneously players will receive ten free spins during which the bat feature is activated after every spin. With abetting range of £0.20 up to £200 per spin and a jackpot of 200x this slot is definitely one to try.